I’m apparently on a Vincent Price kick lately (see the previous House of Wax post), or it may be that my writer’s block has set in. Most likely a little bit of both. 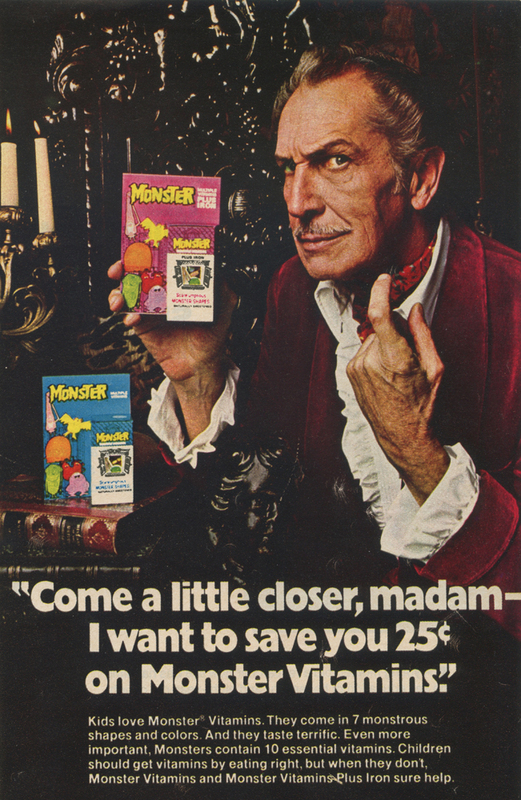 In any case, please enjoy this ad for Vincent Price hocking Monster Vitamins in the 70’s and trying to save you 25 cents in the process! What a swell dude.